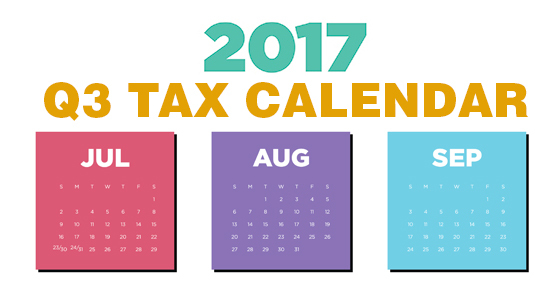 Report income tax withholding and FICA taxes for second quarter 2017 (Form 941), and pay any tax due. (See exception below.) File a 2016 calendar-year retirement plan report (Form 5500 or Form 5500-EZ) or request an extension.